Contrary to popular belief, we are a nation of radicals. We always have been. Perhaps the most radical group of Americans we have produced is the first group we identify as Americans, our Founding Fathers. 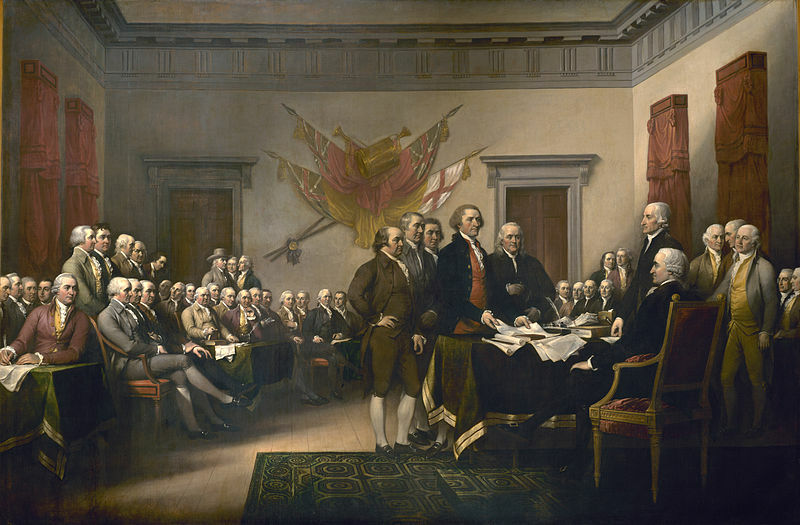 Today, we tend to think of this group as some sort of homogenous mixture of men that gently formed a nation. Nothing is further from the truth and we have many lessons to learn by understanding them and then embracing our own inner radical. It is easy to look back and think of our Founding Fathers as elder statesmen working together for the common good, sort of a picture of everyone rowing the boat in the same direction. 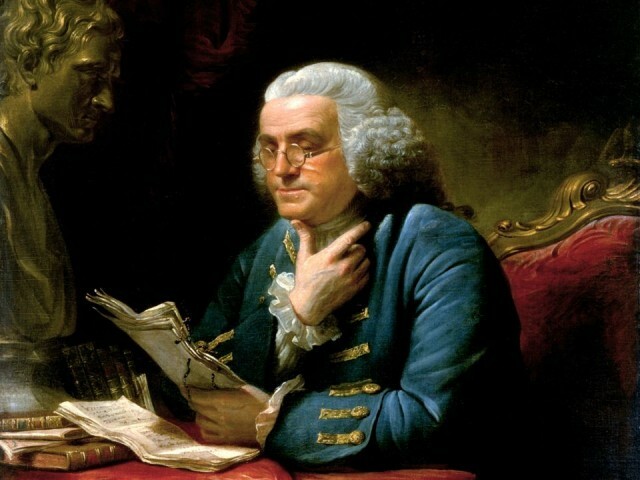 Famous quotes, like Franklin’s “We must, indeed, all hang together or, most assuredly, we shall all hang separately,”[i] tend to support a single-minded view of the group. In reality, it shows something else, the need to persuade. While the origin of the quote is dubious, it sounds like a remark Franklin would make to bolster John Hancock’s attempt to gain unanimous support for The Declaration of Independence as anything less would get them killed. It illustrates the need to set aside petty differences in support of a larger good. In this case, the larger good was winning independence from Great Britain and that was a truly radical and treasonous undertaking. There were basically three types of colonial citizen at the time, those for independence, those against it, and those that simply did not care. While the Founding Fathers were certainly in the latter group after July 2th, 1776, the day they voted for independence, it was not the case mere days before. All wanted relief but what form was hotly debated. Some wanted to keep the king and have their own parliament. Some wanted nothing more than changes in law. Still, others wanted independence and the ability to define and craft their own destiny. It is, of course, the latter view that won the day. The remarkable thing is with such diametrically opposed views as committing treason and requesting relief are, our Founding Fathers came together and spoke in a single voice to address the issues they faced. The choice they agreed upon was the most radical one – independence through war. Our Founding Fathers were indeed radical is pursuing relief from the problems they faced. The radical nature of our national founders did not change when they gained independence, far from it. Even during the Revolution, member of the Second Continental Congress did not agree on the relative strength the federal government required. After the war, this division of thought, along with apathy, became so pronounced it effectively crippled the government formed by the Articles of Confederation. [ii] In less than ten years after the Revolution, our government made another radical change replacing The Articles of Confederation with The Constitution of the United States. Again, our Founding Fathers proved themselves willing to make, what at the time, were radical and controversial changes. Even Franklin, as radical as he was, understood the need to put nation first and compromise for the greater good. Even so, others, like George Mason, could not bring themselves to vote for the Constitution. In his mind, the changes did not provide states and individuals the necessary protection from the federal government. Three years later, his dogged tenacity lead to the adoption of The Bill of Rights, again, a very radical move by a Founding Father. Franklin and Mason are perfect examples of Founding Fathers as radicals, as they were radicals to a point. They defended their radical views all the while working on compromises when required. Even on large moral issues, like slavery, both men saw the necessity to compromise. Without that, the Constitution would never have been ratified. The proof of their wisdom in compromising is evidenced by the Civil War some seventy-years later. By the time the Civil War began all our Founding Fathers had long passed away. Still the nature of Americans as radicals is very evident in Abraham Lincoln. Even before the war, Lincoln did not shy away from radical politics. 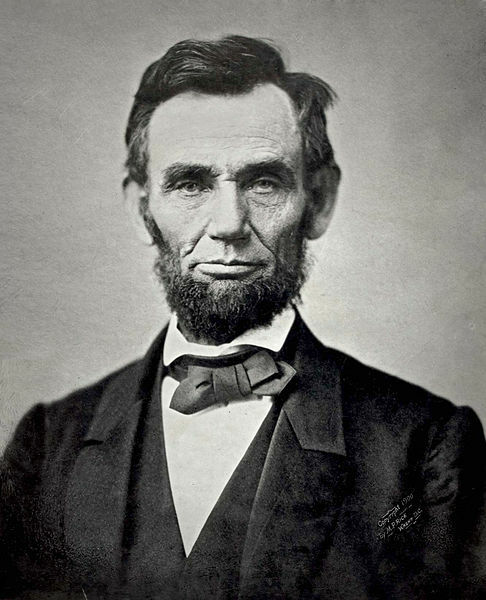 As the Whig Party was irreparably split over the Kansas-Nebraska Act, Lincoln became a driving force behind the formation of the modern Republican Party and its radical view to abolish slavery. year and eight month after the start of the war, ending slavery became a central issue of the war. Again, we had a dynamic leader with a radical view, tempered by what he perceived as the greater need of the nation. It was not until President Lincoln believed ending slavery was the only way to preserve the union he accepted that as a goal of the war. Think about it, in the 1860s, the Republican Party was the liberal-progressive party the party backing a powerful federal government while the Democrats held the conservative view of state’s rights and argued for weaker federal control. It would take the economic disaster of the Great Depression to lead us to the political parties as we know them today. It’s hard to believe President Roosevelt is seen as one of the most successful Republican presidents of all times given his progressive policies. In a way it is understandable that Roosevelt held progressive views. The nation was in the midst of the Progressive Era[vi]. The dates of the era ran from around 1890 until the Great Depression’s beginning in 1929 with two periods separated by World War I. The movement had both Republican and Democratic supporters. After President Roosevelt, the next progressive to make radical change was Woodrow Wilson. Besides being President during World War I, President Wilson was the moving force behind the creation of the League of Nations, the first international organization dedicated to maintain world peace. This radical effort by Wilson is the first time the United States joined an organization with the authority of binding arbitration over its members. His administration pushed through the Federal Reserve Act, Federal Trade Commission Act, the Clayton Antitrust Act, the Federal Farm Loan Act and federal income tax. He later gave enthusiastic support to women’s suffrage. President Wilson was the last president elected while the Democratic Party held conservative views of individual freedom and states’ rights. World War I left a national debt increased by almost 90%. Over the next twelve years Republican’s took a fiscally conservative stance and reduced the federal deficit by 50%. With the election of Warren G. Harding, the modern Republican stance on less business interference from government took hold. 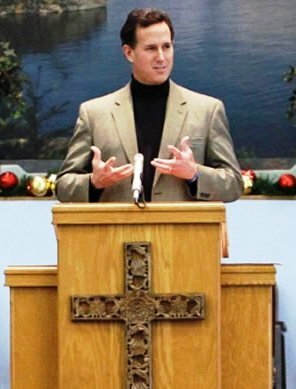 He is quoted as saying, “less government in business and more business in government.”[vii] In pushing a business friendly, smaller government platform, the Republicans took a radical stance but one in the conservative direction. While effective in reducing the deficit as well as establishing a comprehensive federal budget, the radical shift in governance set the stage for the Great Depression. 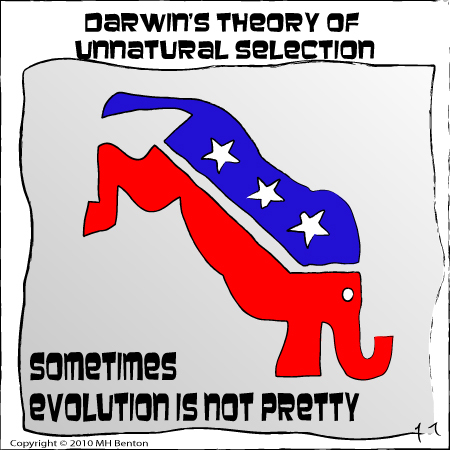 At this time, politics went through a sort of paradigm shift. The voting blocs of the Progressive Era were swept away and support for the business leaning Republicans plummeted. 1933 marked the beginning of the New Deal Era and caused the states’ rights Democrats to flee the party and join the remaining conservative Republicans. 1933 began to radically reshape both parties into the blocs and collations we recognize today. In broad terms, this is the point where Republicans are defined as conservative or the Right and Democrats as liberal or the Left. With the Great Depression raging like a wildfire and the election of Franklin Roosevelt, that country was ripe for radical change and the New Deal gave them the change they demanded. Roosevelt’s support for social change galvanized the Democratic Party as the home of social liberals. To deal with the Depression, Roosevelt proposed three major efforts, Relief, Recovery, and Reform. The Three Rs, as they became known, put Keynesian economic theory[viii] into practice and was an extremely radical departure from prior governmental practices. It produced the most dramatic change in governance since the Civil War. America’s radical mood swings were put on hold in 1941. With Japan’s attack on Pearl Harbor and the United States’ entry into World War II, the war effort became the overriding event that dominated the political landscape. More than any other time in US History, World War II marks the period where we thought as one and put our political differences aside. After the war, these differences once again surfaced and our nature as radicals once again reigned supreme. Post-war international posturing directly impacted radicalism within the United States. With the Soviet Union exporting communism across Eastern Europe fear gripped much of the nation and gave rise to political death by accusation and the witch-hunts of McCarthyism[ix]. Though Senator Joseph McCarthy’s personal influence ended with his censure by the Senate in 1954, the lingering effect of McCarthyism still raises its ugly head from time to time. It serves as one of the few example where a radical view produced real damage to America before the tempering hand of opposing views pulled back the reins. After the Korean War (1950 – 1953) and the excesses of McCarthyism, Americans were in the mood to relax and pursue personal interest. Politically, President Eisenhower was ready to give it to them. While working to reduce the rate of federal spending, he pushed to continue and improve upon many of the New Deal social programs put forward by President Roosevelt. Under Eisenhower, the largest federal public works program in history. [x] While there is really nothing radical about that, it is radical thinking from t the leader of the Republican Party. Again, showing radical action can produce beneficial results. In the 60s, America passed through one of its greatest periods of radical ideas. President Kennedy’s bold radical statement was not back up by technology at the time. In truth, no one knew if it was possible or not. Still, he defined a daring and bold goal and the country answered the call. Bright lights of radical thinking burned in the 60s, President Kennedy, his brother Bobby, and Martin Luther King, Jr. to name a few. Of course, other radicals made headlines in the 60s as well; names like Lee Harvey Oswald, Sirhan Sirhan, and James Earl Ray show radical thinking has a very ugly and evil side as well. Richard Nixon certainly had radical views about what he could and could not do as president, ultimately leading to his resignation. Still, if you look beyond his paranoid excesses, you see an effective president that suggested radical social reforms including a healthcare plan that is very similar to one put into effect some forty years later. Nixon was the last of the fiscal Republican elected as President in the 20th century. From this point forward, Republican presidents followed the social conservative model put forward by Senator Barry Goldwater. In radical departure from the post-World War II mainstream Republican, the election of Ronald Reagan revived the basic ideals of laissez-faire[xiii] governance at the same time expanding the military in the largest peace-time buildup in history. His approach reduced taxes but failed to reduce overall federal spending resulting in a 61% increase in the national debt. Radical thinking at the end of the 20th century seems somewhat stilted compared to icons of radical thinking like Franklin and FDR. Now, we focus on radical thinking as a negative rather than a force of change. Still, weather good or bad, we have our radical thinkers. We have past presidents, like Bill Clinton and both Bushs stepping away from politics and working together around the world for the greater good. What could me more radical than that? Overall, America has a tradition and history with radical thinking. We seem to always reinvent who we are and how we move forward. Listening to politicians, they tend to paint as being radical in nature while not accepting their own views are rooted in a radical tradition. It is a convenient smoke screen for them to hide behind while they bash other’s opinions all the while avoiding explaining their own. It’s time for us, all of us, to embrace our radical nature and accept different ideas, then judge which ideas we need to support and move forward. [i] Franklin, Benjamin. Famous Quotes at BrainyQuote. 19 Jan. 2012 <http://www.brainyquote.com/quotes/quotes/b/benjaminfr151597.html>. [iii] Franklin, Benjamin. “Speech.” Constitutional Convention. 17 Sept. 1787. The U.S. Constitution Online – USConstitution.net. 20 Jan. 2012 <http://www.usconstitution.net/franklin.html>. [v] “National Park Service History: Theodore Roosevelt and the National Park System.” National Park Service Cultural Resources Discover History. 19 Jan. 2012 <http://www.cr.nps.gov/history/hisnps/NPSHistory/teddy.htm>. [vi] “Progressive Era.” Wikipedia, the free encyclopedia. 19 Jan. 2012 <http://en.wikipedia.org/wiki/Progressive_Era>. [vii] “Warren G. Harding.” The White House. 19 Jan. 2012 <http://www.whitehouse.gov/about/presidents/warrenharding>. [viii] “John Maynard Keynes, Economist.” Maynardkeynes.org. 20 Jan. 2012 <http://www.maynardkeynes.org/maynard-keynes-economics.html>. [ix] “McCarthyism – Credo Reference Topic.” Credo Reference Home. Web. 20 Jan. 2012. 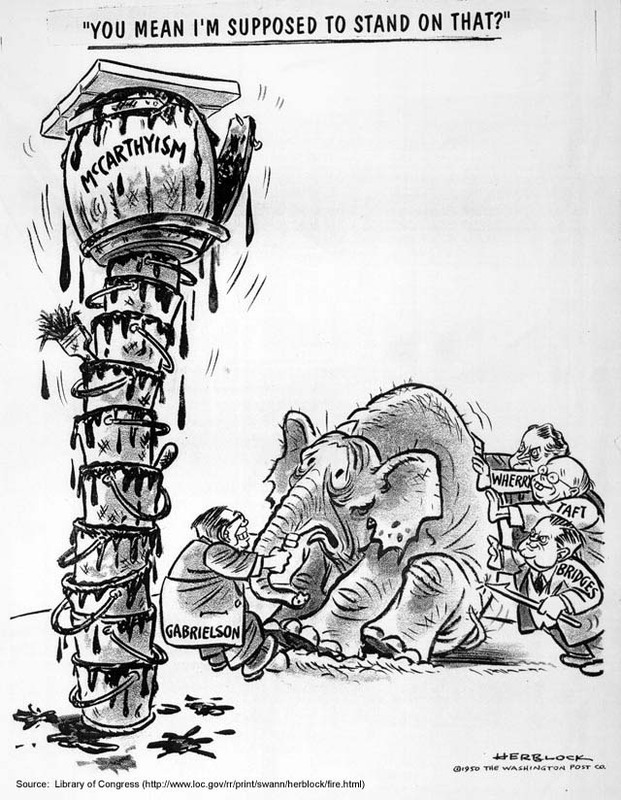 <http://www.credoreference.com/topic/mccarthyism>. [x] “Interstate Highway System.” Wikipedia, the Free Encyclopedia. Web. 20 Jan. 2012. <http://en.wikipedia.org/wiki/Interstate_Highway_System>. [xi] Kennedy, John F. “Address at Rice University on the Nation’s Space Effort.” Speech. Texas, Houston. 12 Sept. 1962. Web. 20 Jan. 2012. <http://www.jfklibrary.org/Research/Ready-Reference/JFK-Speeches/Address-at-Rice-University-on-the-Nations-Space-Effort-September-12-1962.aspx>. [xii] Armstrong, Neil. One Small Step. http://www.hq.nasa.gov. NASA, 21 July 1969. Web. 20 Jan. 2012. 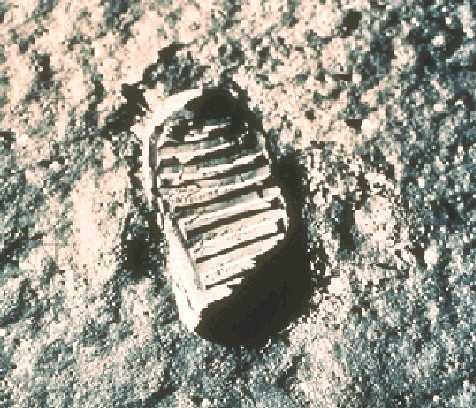 <http://www.hq.nasa.gov/alsj/a11/a11.step.html>. Transcript. [xiii] “laissez-faire.” Encyclopædia Britannica. Encyclopædia Britannica Online. Encyclopædia Britannica Inc., 2012. Web. 20 Jan. 2012. <http://www.britannica.com/EBchecked/topic/328028/laissez-faire>.